splatter" living dead romp directed by Italian goremeister Lucio Fulci. 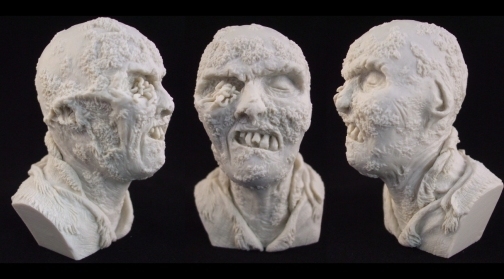 rare bust from the 90's and his more recent sublimely grotesque full resin kit. facial pitting, leathery skin, and crusty wounds are authentically rendered. even find a seam line thanks to the casting prowess of Trev at NT Productions. Conquistador rising from his earthen tomb. (like a Zombie Snickers Bar) is sure to satisfy even the vilest of appetites."